This year you can use these Great Father’s Day Card Ideas to create just what the Daddy in your life will love. From kids making homemade cards, to you creating specialty photo cards to send to a father who lives out of town, these are some of our favorite ways to show Dad you care this year. Let the kids get involved to create or pick out what is sent, and grab these ahead of time to make this a great Father’s Day for the men in your life. 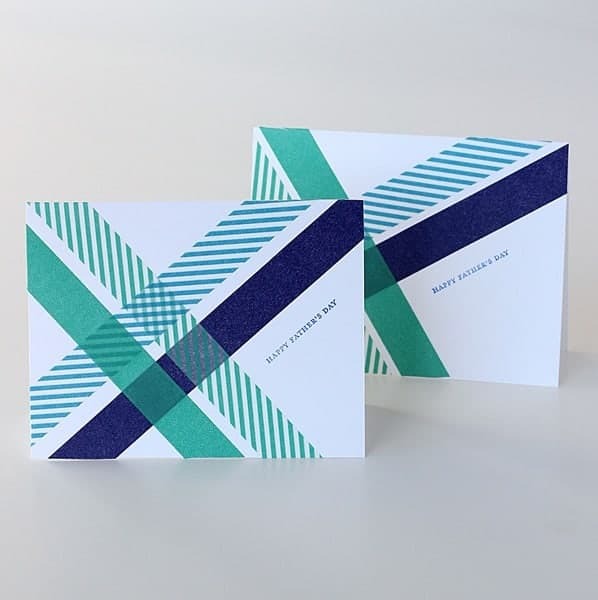 This Washi Tape Father’s Day Card from Washi Tape Crafts is one of our favorite DIY cards out there. Not only will it be inexpensive, it will be easy for anyone to create. Choose your own favorite color themes and make a card that Dad will cherish for years to come. 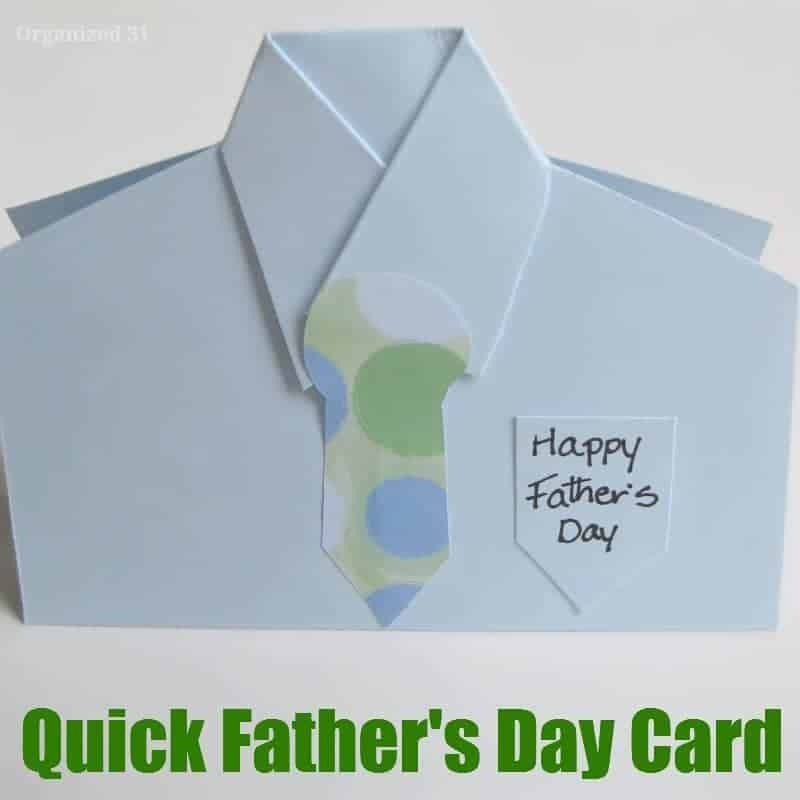 Grab stamps, stencils or stick on letters, and follow the instructions in their post on how to make this a great Father’s Day card from scratch this year. Elegance and Enchantment offers up this awesome Retro Printable Father’s Day Card that is sure to make any dad smile. It’s a great throwback look that is fun and whimsical. It suits the hipster crowd, or the dad who loves the retro look. It also includes awesome printables that you can put on a beer or soda bottle for personalization! Ties have been a classic Father’s Day gift for years, and this DIY Tie Father’s Day Card on Kid Pep is a great way to pay homage to the classic gift without cluttering their closet or sock dresser drawer with a tie they will never wear. It’s a simple and fun father’s day card the kids can get involved in making with you. Pick colors and themes that suit your Dad and have fun creating this cute card! Another fun spin on the classic tie is this super Quick Father’s Day Card on Organized 31 that looks just like a shirt and tie! This is a great last minute card idea for the dad you somehow forgot to buy a card for. It’s also a great craft to make with the kids if you have a preschool class to teach. Not only are these great options available for creating your own homemade Father’s Day cards, you can easily upload photos to sites like Tiny Prints, or Shutterfly and create your own custom cards with images of your kids. Which are your favorite Father’s Day card ideas? Tell us in the comments! The tie idea is so cool! I custom cards are the way to go! Oh some great ones to share at play group….we’re doing cards this week with the kiddies! I really like the tie idea. It’s very cute! The kids make custom cards every year. We’ll have to try this one. These cards are absolutely adorable, I would definitely be making custom cards. 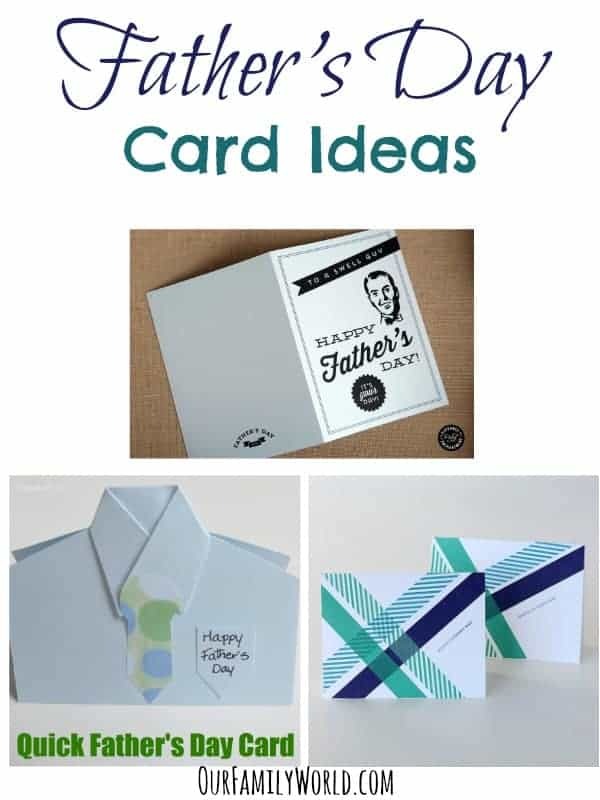 These are some wonderful ideas for Father’s day cards! I’ll definitely keep those in mind! These card ideas are super cute! I love the idea of the shirt and tie card! These are some great ideas! The kids always prefer to make their own – we never buy cards. I think it means so much more when they’ve put it together themselves. Priceless. How sweet! My husband would love and appreciate a card like that. Thank you for the wonderful idea! I really love the washi tape design. I’ll definitely have to give that one a try. It turned out beautifully! These are all great DIY Father’s Day cards! My favorite is the washi tape one, which I already have the washi tape for! Thanks for the great idea! The tie is so cute. 🙂 I love making my own cards so I will make my own this year for Father’s Day too. I usually give my husband DIY Father’s Day card, but I haven’t thought of the Washi tape as well as the tie card. Those are so cute. Thanks for the idea. Omg these are some cute card ideas!! I’m totally loving the shirts and tie card!!! Love LOVE lOvE that one!!! 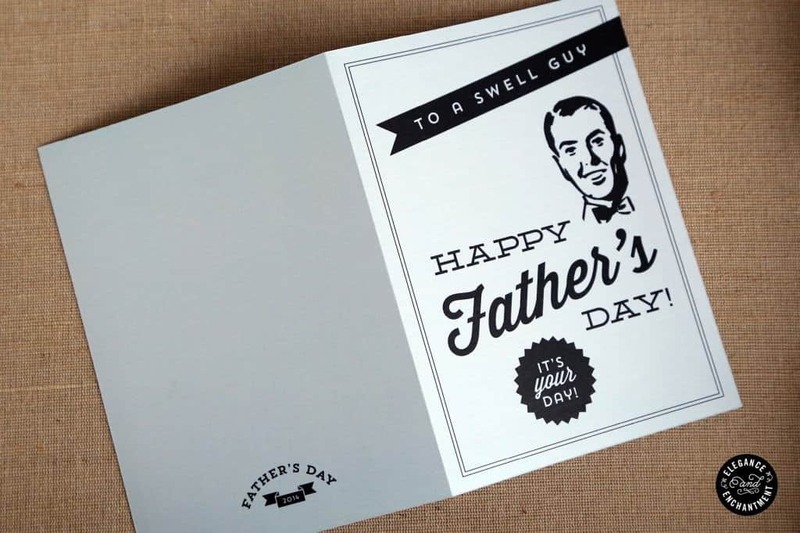 These are some great Father’s Day cards and so creative as well. I will have to show some of these ideas to friends for their husbands. These are really cute card ideas. I like the tie cards. The retro one doesn’t really suit my husband but I think he would like something homemade from the kids. These are all really great! I love making our own cards. My kids would get a kick out of making any of these and My husband would love them all! I love these ideas especially the tie one! It’s so funky and I know my husband will love it. This is such a great idea. The cards you made are adorable. I love the idea of making my own father’s day card. The cards you display are really cute. The tie cards are super cute! We usually always make handmade cards for Father’s Day. They’re much more special, right?! These are so cute! I love that card with the “tie”. It’s so adorable. 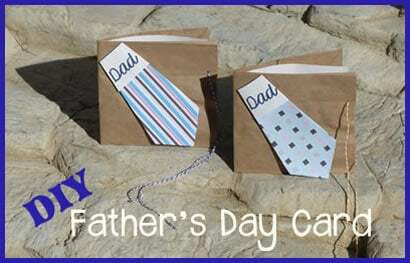 Loving the “origami” type of Father’s Day cards, or one’s with little embellishments. So fun! Oh, I love all of these! I think my hubby and my Dad would really like to receive one, too! I LOVE the shirt and tie card! I am going to have my kiddo do this! Thank you for the idea! All these cards are SO cute! Oh my goodness, what cute cards. I need to let the kids make these as I think they’d have so much fun and would be proud to give them to their dad. Love the tie one! These are super cute ideas. A lot of cute cards! I love the one with the ties.